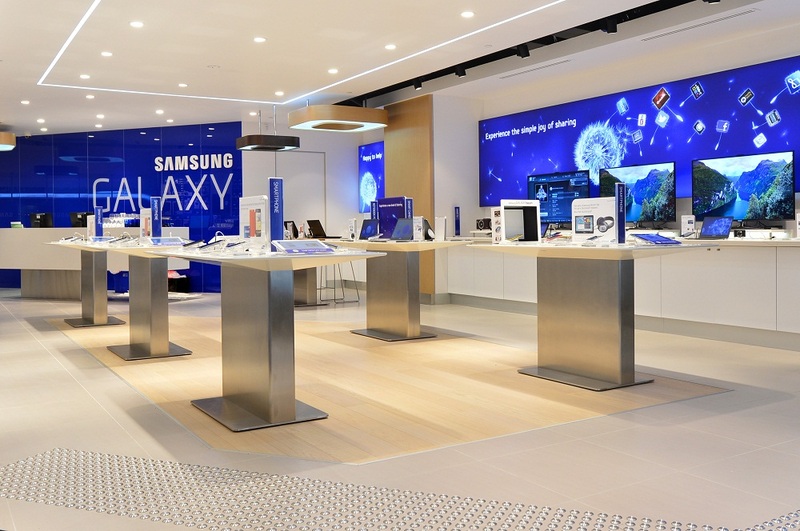 Above is a photo of the brand new Samsung “Experience” retail store in Australia. Unsurprisingly, everyone is picking on Samsung for taking many cues straight from Apple’s successful retail look. As you can see, there are islands in the store that display Sammy’s newest products, just as you would see in Apple’s. Along with the looks, Samsung has even gone as far as to have “Samsung Smart Tutors” who are a team of Samsung techies to help you with all of your questions. Come on, didn’t you think that was just a little too much? Crazy enough, all employees are required to also wear blue shirts, but that’s just because Samsung’s company color happens to be blue. I for one look forward to the day an Experience store opens up near me. I can go in there, buy a Galaxy Tab, and then return it stating that I was mistaken and thought I was in an Apple store buying an iPad. What do you think of Sammy’s new stores? A little too much or is everyone just nitpicking?